Make sure your buildings cladding lasts as long as possible and prevent yourself from having to shell out on any expensive replacement work with a scheduled cladding cleaning plan. Using the latest technology our professional cleaning team will ensure your warehouse, unit and other buildings will look as good as new in no time, leaving your visitors and customers with the perfect first impression. We have specific cleaning processes for all types of cladding including aluminium, plastic UPVC, stainless steel, glass and much more to make sure you receive the optimal clean without any damage to the surface. These processes have been perfected by our 100 strong team through over 40 years of experience in building cleaning and maintenance to ensure we can provide a professional and high quality service when you need it which removes even the most stubborn stains and blemishes. 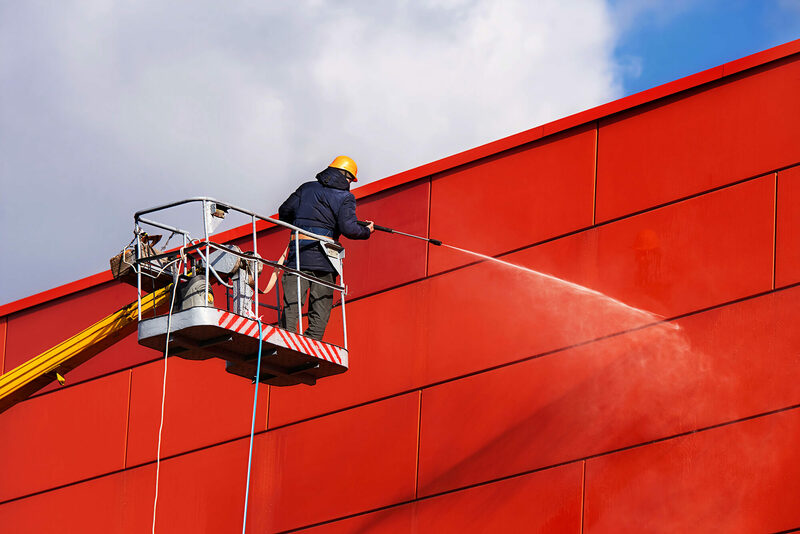 Make a better first impression on visitors and more importantly your customers by getting in touch with our expert team today about our cladding cleaning services and scheduled maintenance plans.